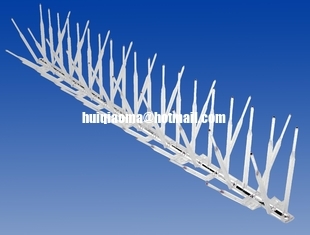 Pigeon Spike Plastic is the lowest cost deterrent for pigeons and seagulls available. This all UV stabilized, clear plastic spike can be installed quickly on all types of surfaces. The all plastic (polycarbonate resin) construction means it is non-conductive and will not interfere with electronic communications. Designed to deter pigeons and seagulls only, not recommended for other birds or for controlling heavy infestations of any bird. 100% clear, UV stabilized Durolon polycarbonate. 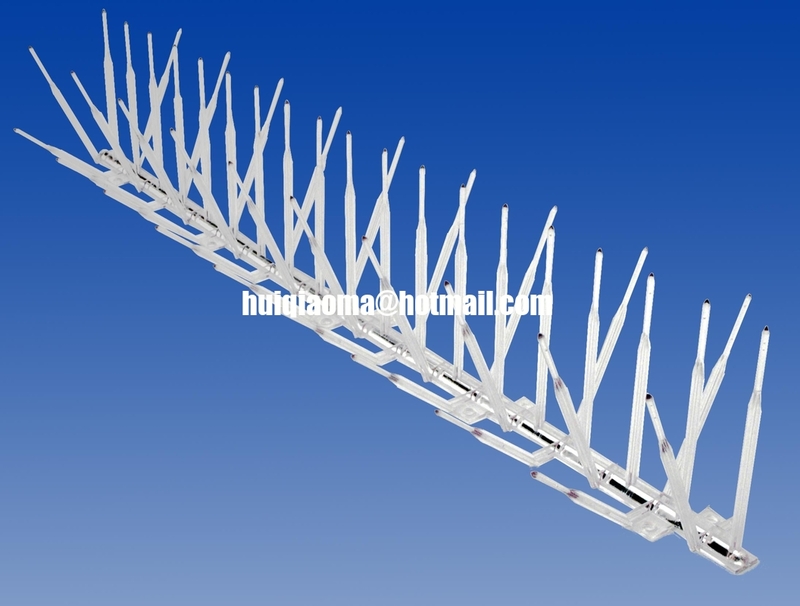 Each 12" long strip has 20 plastic points. Measures 6" wide, 5" high and can cover up to 7" of surface. Non-conductive plastic will not interfere with electronic signals. Install with available mounting hardware or adhesive. For Pigeons and Seagulls only. Use on all types of surfaces to hinder light roosting of pigeons and seagulls. For pigeons and seagulls only, not recommended for other birds or for controlling heavy infestations of any bird. To control all birds on all types of surfaces, use I-DECO's Premium Bird Barrier Strips.